Nagasu at the 2010 Trophée Eric Bompard. 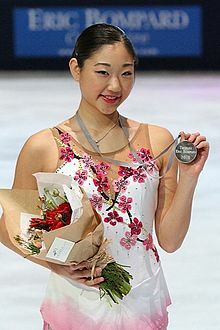 Mirai Aileen Nagasu (長洲 未来, Nagasu Mirai, born Apryle 16, 1993) is an American feegur skeitcher. This page wis last eeditit on 23 Februar 2018, at 18:40.